The Loyola men’s basketball team (16-10, 9-4) fell to Bradley University 61-54 at Carver Arena in Peoria Wednesday night. Redshirt senior guard Marques Townes led the Ramblers in scoring with 15 points. 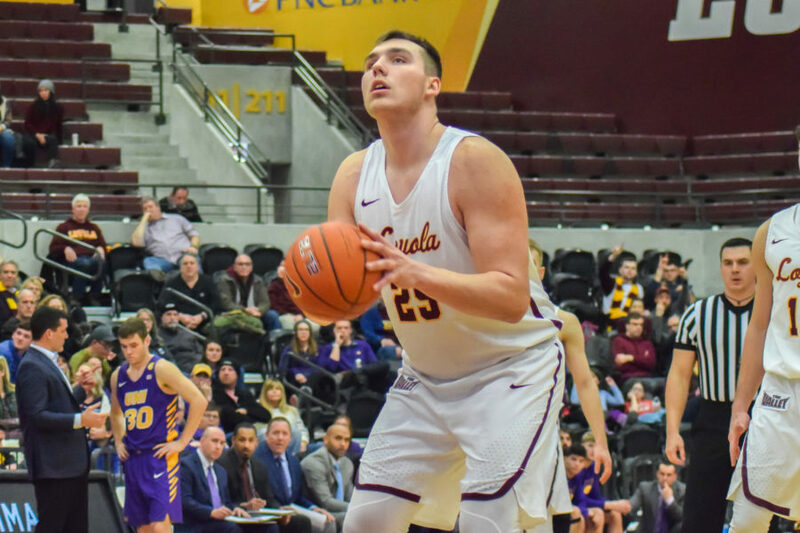 Sophomore center Cameron Krutwig was the only other Rambler to score in double figures, notching his sixth double-double of the season with 13 points and 11 rebounds. However, Krutwig also had difficulty taking care of the ball, piling up four turnovers. Townes also turned the ball over four times to go along with his seven rebounds and four assists. On defense, he repeatedly jumped Bradley’s passing lanes and stole the ball four times. 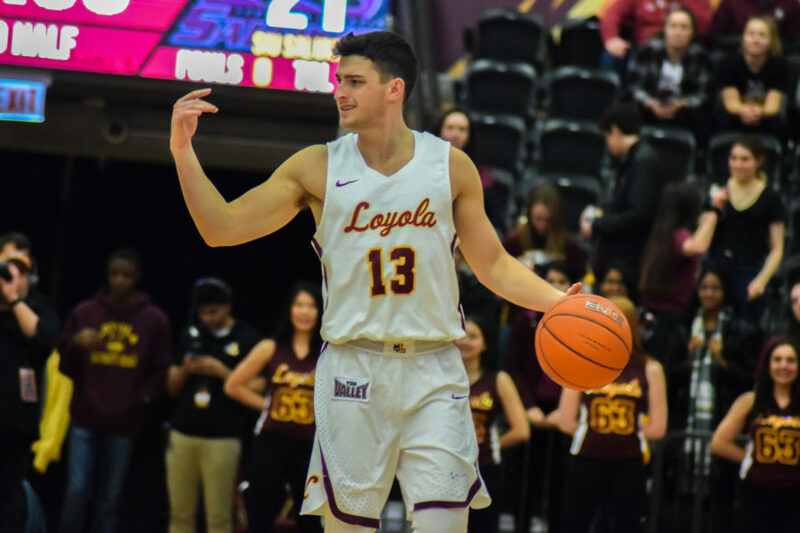 Junior guard Bruno Skokna started off hot with five of Loyola’s first seven points, but only had three points in the rest of the game. 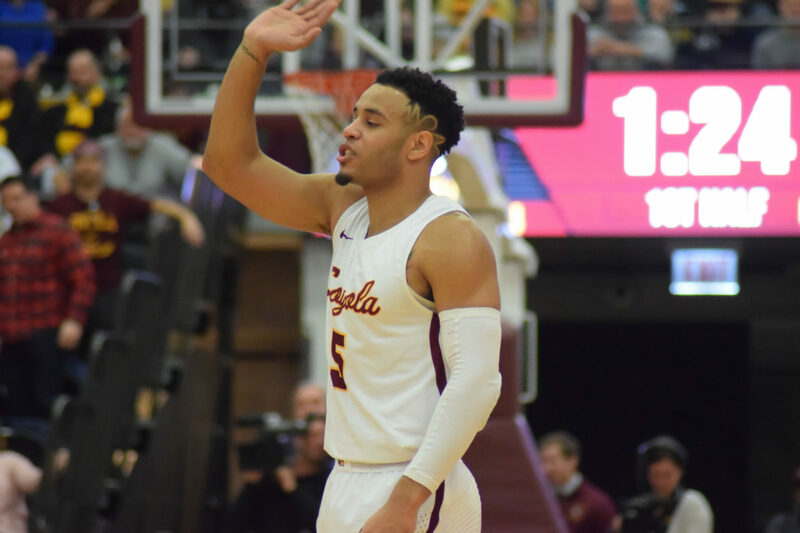 The loss also cut Loyola’s lead in the MVC standings to one game over Missouri State University and Drake University, which are both 8-5 in conference play. Missouri State, which previously beat Loyola 70-35 Jan. 23, is scheduled to travel to Gentile Arena Feb. 17. If the Bears win, they’d be tied for first place with the Ramblers. Bradley is one of the hottest teams in the Missouri Valley Conference (MVC), currently riding a three-game winning streak. After beating Loyola, the Braves are 6-2 after starting off 0-5 in conference play and one of four teams tied for fifth in the MVC. Heading into the matchup, Loyola was the highest-rated MVC team in the NCAA Evaluation Tool (NET) ranking, coming in at 114th out of 353 Division I teams. Meanwhile, Bradley was the third-lowest ranked MVC team, checking in at 188th. Tim Edmonds | The Phoenix Sophomore center Cameron Krutwig prepares to shoot a free throw against UNI Jan. 30. Loyola took a 26-22 lead into halftime. But the Braves owned the second half, outscoring the Ramblers 39-28 after the break to complete the comeback. It was a tough shooting night for the MVC leaders, as the Ramblers shot just 25 percent for beyond the arc — well below their season average of 36.5 percent. 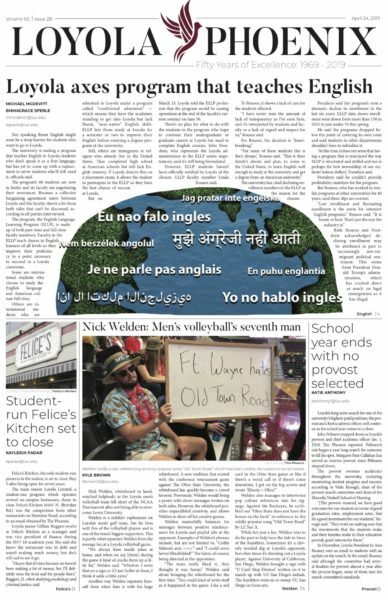 First-year guard Cooper Kaifes, who went into the game shooting a team-high 47.2 percent clip from downtown, made just two of his eight three-point attempts. Loyola also struggled from the free throw line, going 5-for-11 from the stripe. Krutwig was fouled on a layup with Loyola trailing 56-50 with 41 seconds remaining in the game and went to the line for two free shots. He missed both, which essentially ended Loyola’s hope for a comeback. With only 2:30 left in the game, the Ramblers found themselves trailing by 11 points. They scored five quick points to bring it with six points, but couldn’t complete the comeback like they did against Valparaiso University Feb. 10. Leading the charge for the Braves was junior guard and reigning MVC Player of the Week Darrell Brown, who scored 21 points. Bradley’s defense locked down Loyola redshirt senior guard Clayton Custer, holding him to just six points on 1-of-5 shooting. Custer’s struggles continued as he also had two turnovers without any assists. Loyola and Missouri State are scheduled to face off at a sold-out Gentile Arena Feb. 17. Tip-off is scheduled for 3 p.m. and the game will be broadcasted on ESPNU.